will take place as follows. Check out the official Swing Calendar too. 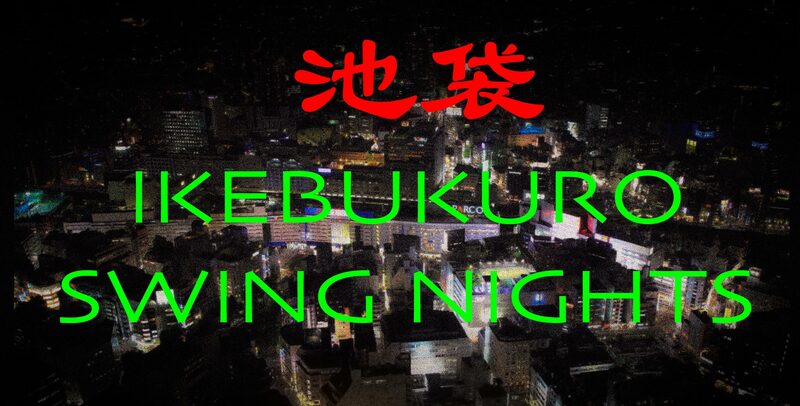 Ikebukuro Swing Night(ISN) is a dj’ed swing dance night at a night music club in Ikebukuro, Tokyo. ISN is presented by the Tokyo Swing Dance Society. All the swing dancers will be welcome. There is a free dance lesson for beginners. Since this is a night club, brown bag food and/or beverages including water are not allowed. The club serves beverages for you. Thank you very much for your understanding. No booking in advance needed for the free lesson. Just show up and say you want to take the lesson. 18:30 The door will open. 2,000 yen with one drink ticket.